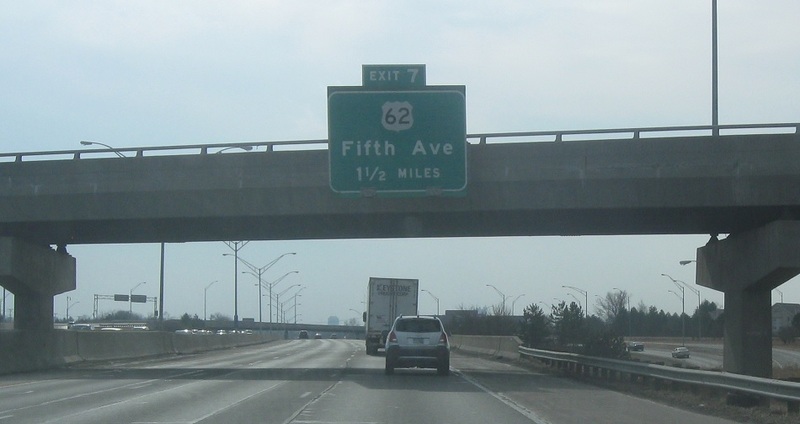 Just after I-270, we’ll approach the exit for John Glenn/Port Columbus International Airport. As we pass through the airport exit, we’re 1.5 miles from the US-62 split. 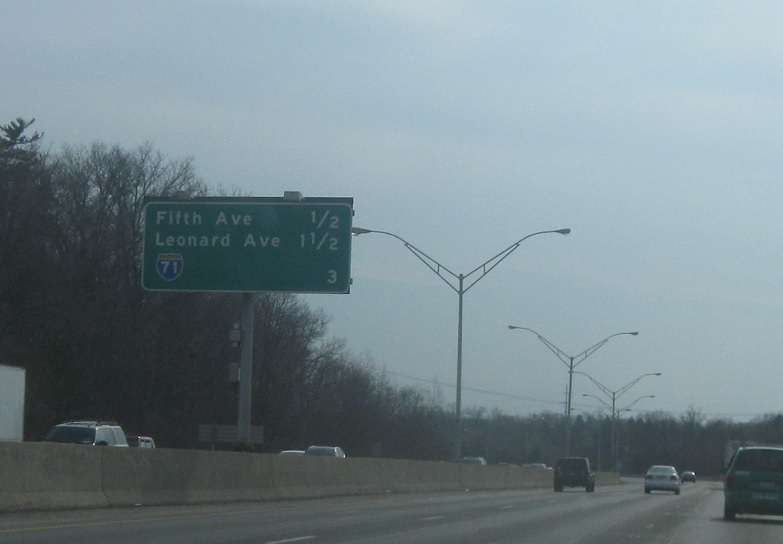 Three miles to I-71 via I-670. 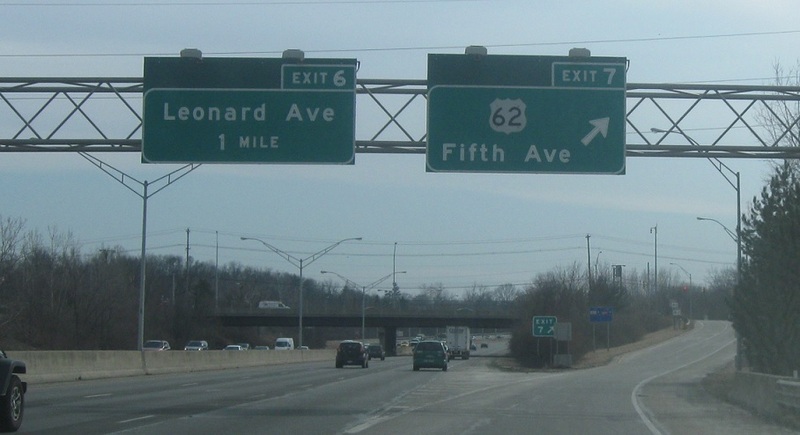 Exit for US-62/5th Avenue, which follows surface streets into downtown.